The INTERTOOL is Austria’s only trade fair for manufacturing technology in the metal processing sector. It focuses on machine tools and precision tools for separating and forming work piece processing, as well as technologies and systems along the entire process chain. 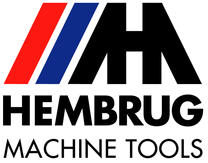 Hembrug will be represented by our agent Schirnhofer and will exhibit the Mikroturn 100 as well as a range of hard turned and finished componants from a wide variety of industries which fully demonstrate the precision capabilities of the Hembrug Mikroturn machines.